A balanced formulation of two important macrominerals, in the highly bioavailable citrate forms. Every batch is tested to ensure the absence of heavy metals and other contaminants. Why support with Calcium Citrate? The bones and teeth contain greater than 99% of the calcium in the human body. Calcium in bone is present mainly as hydroxyapatite. Calcium is also present in blood, extracellular fluid, muscle, and other tissues. It is essential for nerve transmission, muscle contraction, vascular contraction, vasodilation, glandular secretion, cell membrane and capillary permeability, enzyme reactions, respiration, renal function, and blood coagulation. It also plays a role in neurotransmitter and hormone release and storage, uptake and binding of amino acids, cyanocobalamin (vitamin B12) absorption, and gastrin secretion. Calcium is lost in varying amounts through the faeces, urine, sweat, and sloughed skin cells. Reduced oestrogen levels in women result in reduced calcium absorption and retention, increased bone turnover, and lower bone mass. Calcium absorption is affected by several factors. It varies based on age, environmental and dietary conditions, and race. People of Asian and African descent absorb calcium more efficiently than Caucasians. Elderly women, in general, have an impaired intestinal response to vitamin D. This impairment can further contribute to negative calcium balance and bone loss. In healthy, premenopausal women, the proportion of dietary calcium absorbed varies from 10% to 60%, and is positively correlated with body mass index, dietary fat, and serum vitamin D level. It is inversely correlated with total dietary calcium, dietary fibre, alcohol intake, and physical activity. There is a link between a low fat, high fibre diet and poor calcium absorption, possibly due to a faster rate of intestinal transit. Magnesium is the second most plentiful cation in the intracellular fluid and the most plentiful cation in the body. Magnesium is involved with more than 300 enzyme systems. The body contains about 25 grams of magnesium, which is divided in roughly equal portions between the skeleton and soft tissue. 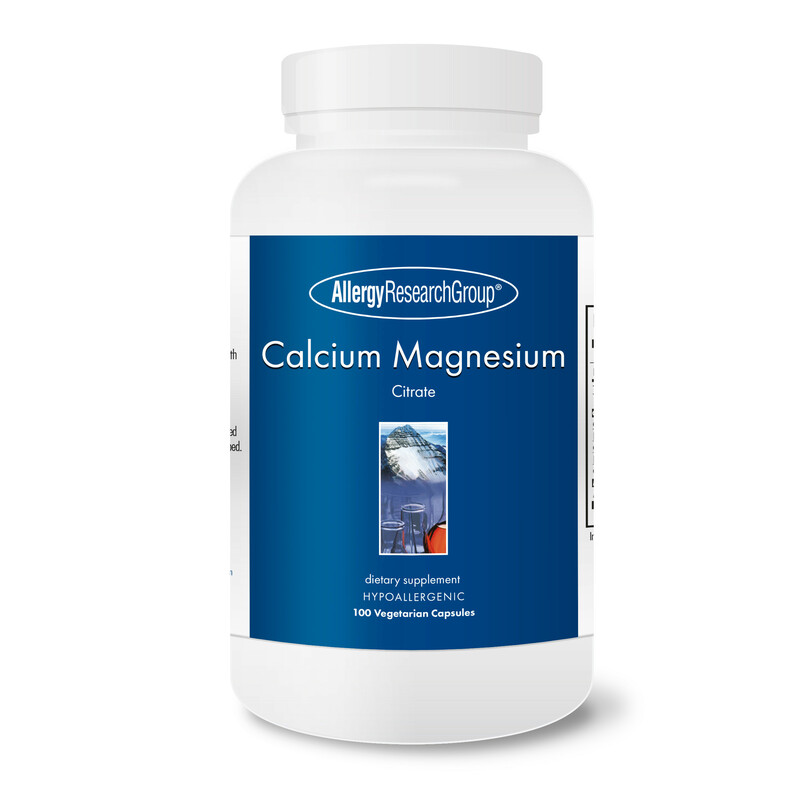 About a third of skeletal magnesium is on the surface of the bone and acts as a reservoir to maintain the extracellular magnesium concentration. The remaining two-thirds of magnesium in bone is a constituent of bone crystals and is not readily available as a magnesium source. Dietary sources of magnesium include legumes, whole grains, vegetables (especially broccoli, squash, and green leafy vegetables), seeds, and nuts (especially almonds). Other sources include dairy products, meats, chocolate, and coffee. Water with a high mineral content, or "hard" water, is also a source of magnesium. Dietary intake of magnesium may be low, particularly among women. Magnesium requires both parathyroid hormone and vitamin D for absorption. Theoretically people with low vitamin D or parathyroid hormone levels might be at risk for magnesium deficiency. Should not be taken when aluminum containing drugs are used. As a mineral food supplement, 1 capsule daily with a meal.